ISPIKE™ Technology [Consisting Of Insulin-Release-Amplifying Reactive Carbohydrate System (Micronparticulated Maltodextrin, Micronparticulated Waxy Maize, Amylase, Gluco-Amylase), And Insulin-Signal-Amplifying System (Agaricus Blazei, D-Pinitol, Patent-Pending Chromium 454™)], 4-hydroxyisoleucine, CARNIVOR-BPI [Consisting Of Hydrolyzed Beef Protein Isolate, Creatine Monohydrate, L-Glutamine, Branched Chain Amino Acids (BCAAs: L-Leucine, L-Valine, L-Isoleucine), And Anabolic Nitrogen Retention Technology™ Intermediates: GKG (Glutamine-Alpha-Ketoglutarate), OKG (Ornithine-Alpha-Ketoglutarate), AKG (Alpha-Ketoglutarate), And KIC (Alpha-Ketoisocaproate)], Hydrolyzed Gelatin, Cocoa, Medium-Chain Triglycerides (MCTs), Natural And Artificial Flavors, Salt, Acesulfame Potassium, Sucralose, and Silicone. The speed at which a nutrient particle is absorbed is partly a function of its surface area. The greater the surface area, the more digestive enzyme molecules can react with it simultaneously. 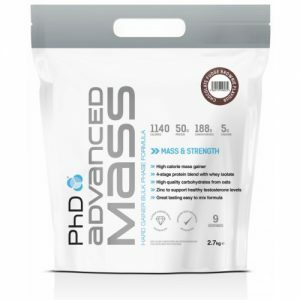 This promotes greater rates of absorption and higher insulin spikes. The MuscleMeds lab managed to reduce the average size of the carbohydrate particles in iSpike while increasing the total number of particles. The result is a staggering increase in reactive surface area and faster absorption. Studies suggest that iSpike’s surface area enhanced carbohydrates, when combined with a fast-acting protein, could promote a greater insulin spike as compared to eating a fast-acting protein alone. 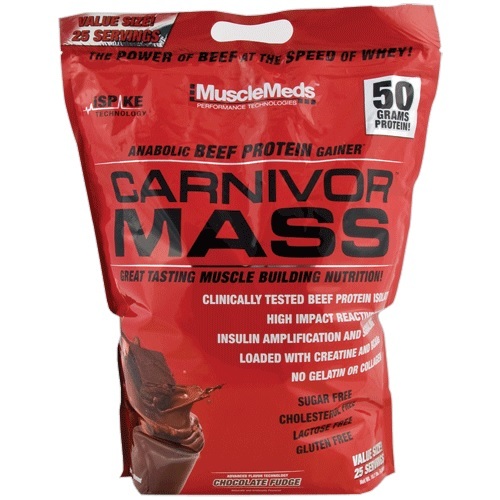 * Test subjects have reported a sensation of strength and energy within 30 minutes of taking CARNIVOR MASS. * This could be the feeling of anabolism you’ve been waiting for! 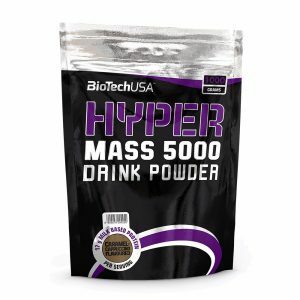 High-speed BPI, surface area enhanced carbohydrates and a multi-action enzyme system – you’d think this combination would be enough to create some major insulin spikes leading to equally major mass gains. But MuscleMeds went a step further by giving iSpike a novel amino acid that has been suggested by studies to have insulinotropic properties. * This novel compound acts as the “gatekeeper” for insulin’s path to muscle tissue. 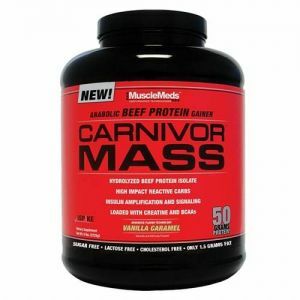 Now every serving of CARNIVOR MASS has the potential to deliver that much more of an anabolic impact.